Chemical precipitation of phosphorus is commonly used to meet these effluent limits due to the relative ease of operation. Metal salts such as Alum (Aluminum Sulfate) or Ferric Chloride are metered into the process where the Aluminum or Iron ions bind soluble phosphorus allowing it to be settled out of the process. While this process is widely used, there are other options available. Here are a few frequently asked questions about the removal process known as EBPR, with answers. 1. What is Enhanced Biological Phosphorus Removal (EBPR)? Enhanced Biological Phosphorus Removal is a process in which the biology within the activated sludge system is manipulated so that microorganisms take more phosphorus into their cells than they normally would. It should be noted that all activated sludge systems involve biological phosphorus removal; phosphorus is an essential element for life. The key to EBPR is getting microorganisms to take in more phosphorus than they need. This is also known as luxury uptake. 2. What is the benefit of EBPR? 3. What is needed to utilize EBPR? In order to create the necessary conditions for EBPR, an anaerobic environment needs to proceed the aerobic environment. This is typically achieved by adding a new tank (anaerobic selector) to the process prior to aeration basins. As the tank is an anaerobic environment, no aeration is needed in this tank. The tank does need to be mixed, so a submersible or floating mixer is often required. Screened and degritted wastewater is introduced into the anaerobic tank along with Return Activated Sludge. 4. Anaerobic, is that like a digester? Anaerobic means ‘without oxygen' and there are anaerobic digesters that WRRFs use. However, those are not what we are talking about here. An anaerobic selector tank serves to stress and/or select for a type of microorganism, while an anaerobic digester serves to reduce volatile solids in sludge. A properly operating anaerobic selector tank will not be producing methane gas like an anaerobic digester will. So no tank cover or gas safety equipment is needed here. 5. I have an SBR, do I need an additional tank? Sequencing Batch Reactor (SBR) cycle times can be manipulated to create the anaerobic environment prior to aeration within existing tanks. However, this could lower the treatment capacity of the SBR. This means you may need to expand your treatment system with additional SBRs or larger SBRs earlier than you would have otherwise. 6. Ok, other than the cost to add an anaerobic tank, what do we need to do? These items have been presented in the sequential order they should be considered, starting with an evaluation of proper conditions. Every waste stream is different. Some WRRFs simply do not have an influent waste stream that is conducive for successful EBPR. 7. 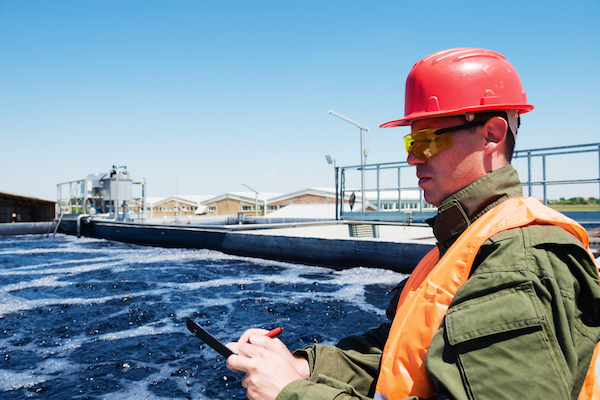 How do I know if my influent wastewater has the “right stuff”? Your typical MRO data; flows, cBOD5, TSS, Ammonia, etc. Influent (and Primary Effluent if you have primary treatment) Volatile Fatty Acids (VFAs) or Volatile Organic Acids (VOAs). You may need to send these samples out to a commercial laboratory, be sure to follow their sampling, storage, and shipping recommendations. This data should help give you a good idea of how effective EBPR could be at your facility. You can find published guidance regarding the ratio of cBOD5, COD, and VFAs to phosphorus. VFAs specifically are very important to the microorganisms that perform luxury uptake. Some treatment plants just don’t have the right influent waste to make EBPR worth the investment. It is important to build a good data set. Don’t get discouraged by one bad sample. It’s also important to identify if diurnal or seasonal variations exist in your system. It takes time to gather this information, so get started well before you need to make decisions regarding how to treat for phosphorus. Still have questions about EBPR? Leave a comment below, or give me a call.